The Lenovo ThinkPad X220 Tablet succeeds where underpowered, poorly outfitted Windows tablets repeatedly fail. 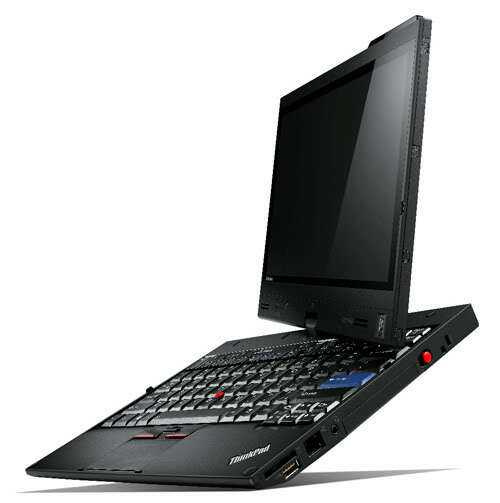 Picking up where the Lenovo X200 left off, the X220 Tablet combines the swiveling multitouch screen with all the features of the X220 laptop, like an industry leading keyboard and rock-solid rugged design. Clearly, the Lenovo ThinkPad X220 Tablet has the pedigree for greatness and the performance to back it up, and that's why it's our Editors' Choice for Windows 7 tablets. With Windows 8 offering a revamp that is specifically designed around touch, and with cheap lightweight devices offering sit-back use, it is difficult to see the appeal of this hybrid design. 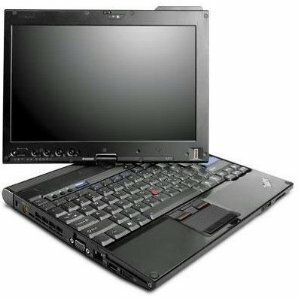 Inside the Lenovo X220T is probably the best business laptop on the market, struggling to get out. Overall, we would be happier using a standard laptop or a smaller, lighter tablet for pen-driven input. However, if you need keyboard and tablet capabilities, convertible designs such as this are perhaps preferable to tablets with bolt-on keyboards such as the Acer Iconia Tab W500. Is Lenovo's ThinkPad X220T the perfect tablet laptop? Not really, but it's as close as it gets. Sure, it's not cheap, its industrial aesthetic won't appeal to everyone, it lacks USB 3.0 and eSATA, and we would have liked a few more vertical pixels on the screen. However, with the excellent quality of its class-leading IPS display, amazing battery life, superb build quality and ergonomics, high-end specifications and ThinkPad reputation, this is the best convertible tablet laptop currently on the market.